A prophet doesn’t have a burden…the burden has the prophet! New Testament prophets do not go around as a one man show. 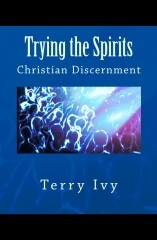 In fact, the rock star promotion of ministers grates his spirit, because it offends the Holy Spirit. The prophet weeps when alone in prayer because he is consumed with the view Christ has concerning the compromise and worldliness of the modern church. He feels God’s heart to call the bride to fulfill her destiny and purpose to his generation. Because the prophet has been alone with God, he is spiritually prepared to speak with man in public. In short, prophets bring God to the people. They declare out of brokenness and passion, the heartbeat of Jesus toward His bride. (Eph. 5:25-27) The prophet sees through the carnal shepherd who dumbs down the church into a business enterprise. He calls for biblical accountability, sound doctrine, the practice of sound doctrine and heart purity. The prophet knows that deeper life cannot be built on dirty hearts! Yep, you guessed it. The New Testament prophet scares the worldly pastor as well as the worldly church which hides behind self deceiving talk to hide their sin and compromise. He is a threat, not to the bride or godly leadership, but to the Laodicean church who claims to be in need of nothing. (Rev. 3:14-22) The prophet knows that ministry is not about popularity…it is about truth! So, where are the prophets? Are you one? If so, you will not have to use a title to convince others. In fact, the attempt to label you will not be pleasing. 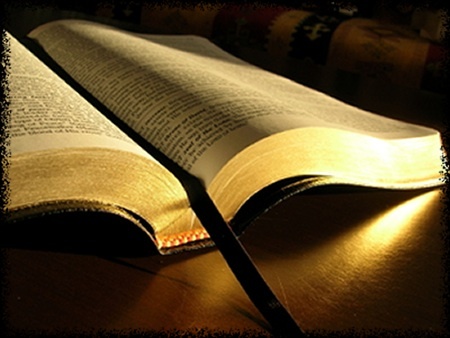 (Amos 7:14-15) Instead, just simply preach with boldness of spirit, brokenness of heart, humility of mind, soundness of doctrine and clarity of words. Offer God’s mercy and grace. Point all men to Christ crucified, buried, resurrected, ascended and coming back! By all means brothers… PREACH! Terry that is a good word. I am going to post this on my Facebook FanPage FoundationMin and Re-tweet. Darren, thanks for your comment and sharing this article. This to me, was the most direct and clear words of the heart of the Lord’s desire for those with a prophetic calling I have read. May I say thank-you? It is understanding that you express. I am impressed with your sense of all for Jesus in these words, and the extravagant wasting of the vessel…spent and emptied…beyond himself, to be filled and used….at his Lord’s discretion. .TO BECOME A LIFE-GIVER TO COMFORT AND HEAL HIS BODY!….Even and especially to the Least of the brethren…whoever that may be…Any and every blood washed brother or sister upon the Earth now belongs to you, and you must, and want…to treat them as Jesus…unto HIM!…this is the reason for the brutal discipline, to create that selfless lover in the hearts of those called to the prophetic. To FEED, PROTECT, and MANIFEST IN LIFE THE LORDSHIP OF JESUS OF NAZARETH WHEREVER THEY GO. This is the only way to carry His heart…which is the nature of the prophet.